Acetylene is available in different purity grades and concentrations to meet the specific requirement of diverse industries. 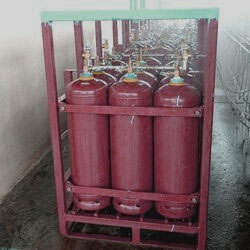 It is a highly flammable gas and needs to be used in a safe manner for better and safe results. 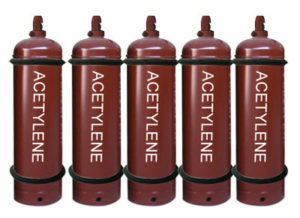 High purity acetylene is also used in various lab techniques like Atomic Absorption Spectroscopy. We have in house laboratory equipments to check the level of purity as well as various impurities present in it. The main use of acetylene gas is in metal cutting, welding and brazing industry using Oxyacetylene flame. Due to its very high flame temperature, it is used where other fuel gases becomes less effective or fails. As a flame cutter for metal cutting / welding / brazing purpose. As a lighting lamp in mines and caves. As a carburizing agent / hardening agent in steel industry. As a gas in AAS – Atomic Absorption Spectroscopy. Some of the pharmaceuticals industry also uses Acetylene dissolved in DMF. These are some of the common uses of Acetylene. There are various other ways in which Acetylene can be used in a particular industry or process.